An overview of the East Midlands Writing PAD Centre at DMU, both in terms of teaching practice and supporting theory. We use playful techniques from the arts to enhance engagement with academic writing and research across disciplines and levels. 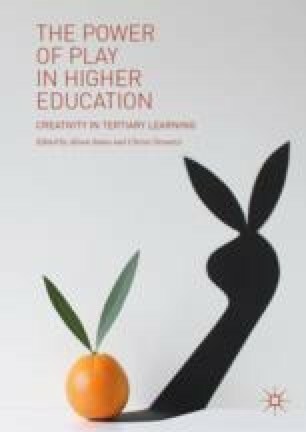 We draw inspiration from Pat Francis’ creative perspective on writing in Art & Design, Alison James and Stephen Brookfield’s work on engaging imagination and LEGO SERIOUS PLAY, David Gauntlett’s research on thinking through making and Alke-Groppel-Wegener’s tactile approach to essay writing. Under the overarching theme of Embodied Creativity, we use visual, tactile techniques such as Reframing Research and Swollage to link theory and practice. Gröppel-Wegener, A. (2013). Tactile Academia. Available at https://tactileacademia.com/. Accessed June 30, 2017. Reeve, J., & Towlson, K. (2015). East Midlands Writing PAD Manifesto. Available at http://writingpad.our.dmu.ac.uk/manifesto/. Accessed June 30, 2017.